© Gregory Cuesta. All rights reserved. 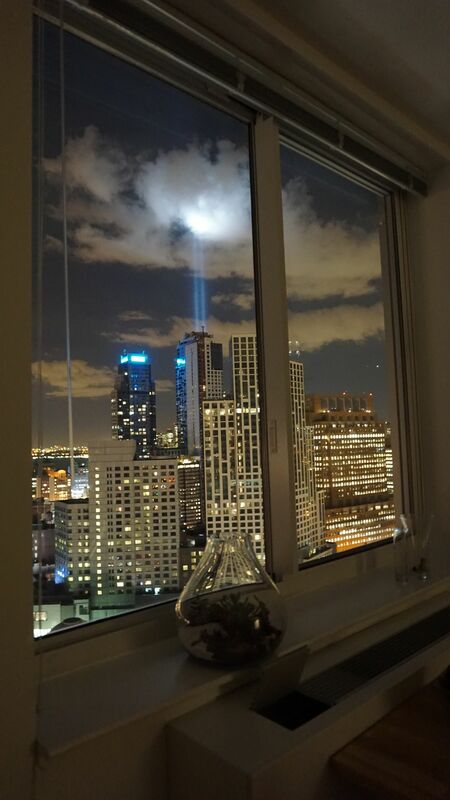 9/11 Tribute in Light from Brooklyn, shining from behind buildings. Date Uploaded: Oct. 21, 2015, 7:35 p.m.